Lethbridge Police Service - Police have charged a 49-year-old man and 34-year-old woman following a short term investigation into drug trafficking activity downtown. On September 21, 2017 members of the Downtown Policing Unit observed drug transactions taking place in an area near Galt Gardens. A male suspect was arrested a short time later in Galt Gardens and found to be in possession of a quantity of prescription narcotics (Percocet) and cash. Two female suspects were also arrested along the 300 block of 5 Street South. One of the women was found in possession of fentanyl pills, tamazapam pills and cash. 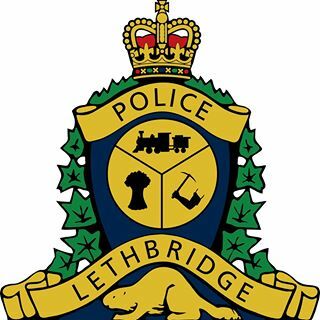 Norman Boyd Black Plume, 49, of Lethbridge, is charged with possession of a controlled substance for the purpose of trafficking and possession of the proceeds of crime. Candace Marie White Man Left, 34, of the Blood Reserve, is charged with two counts of possession of a controlled substance for the purpose of trafficking, one count of possession of the proceeds of crime and one count of resisting a peace officer. The second female was released without charges. Black Plume and White Man Left are scheduled to make their first court appearance today.